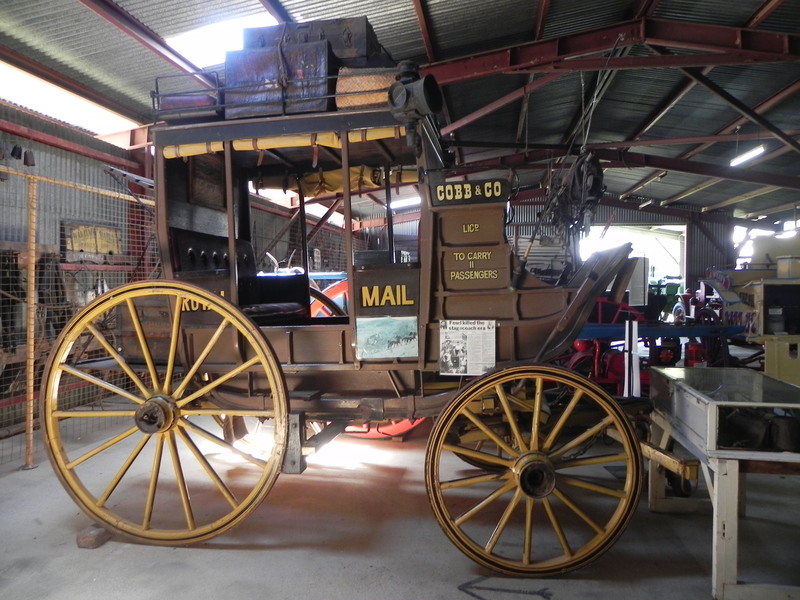 Our museum is run by volunteers as members of the Gulgong Historical Society Inc, with a management committee and people who specialize in conservation and information management. We believe the most significant items in our collection are our buildings. We have three original relocated buildings, and an original in situ streetscape. These buildings capture the essence of the early history in Gulgong in a far stronger way than any of our articles. Of our articles, we have key collections of machinery, textiles, printing equipment and photographs. Our other features include multi media presentations, local history information and volunteer activity. The two most important recent achievements have been the road closure between our two main buildings, creating one museum over 1.5 acres, and moving our front entrance. These two achievements combined have given greater access to more people, especially those with physical disability, to the whole of our museum. The entrance now accommodates more people, and is particularly beneficial to coach travelers. Our current projects are our ongoing conservation program as well as setting up a children’s activity trail. Except Christmas Day and half day Anzac Day.